So I made a decision a while back to liquidate a few of my toys. 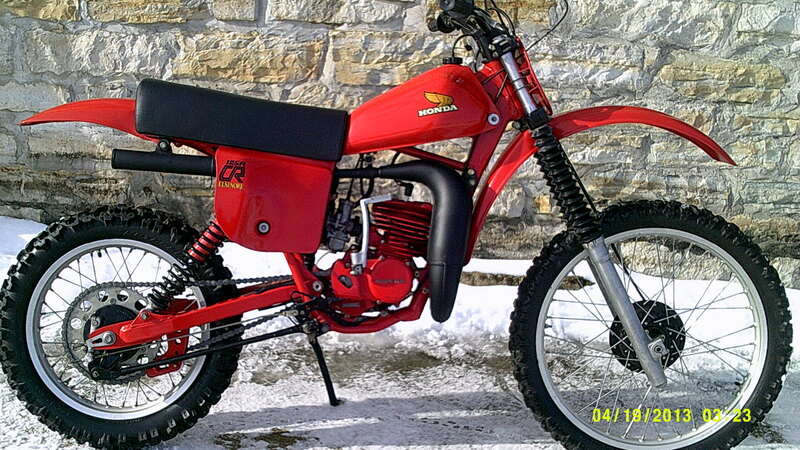 The Nighthawk was the first to go last spring and the latest victim was going to be my prized ’79 Honda CR125R Elsinore. A bike that I restored some six years back but never have started or ridden since. I would like to maybe ride it someday, but then again it would have to be the right day. Has to be warm out, green grass growing, dry green grass for sure and it would take me a bit to get motivated for a maiden voyage on the old girl. The bike is probably the nicest thing I own at this point and that’s one reason why I have not been in a hurry to fire it up. The thing is soo cherry that I don’t want to get it dirty. Another concern is that if I go to put gas in the tank I might spill a bit on the perfect paint job and that would just not do. Last week I put the bike up for sale on Ebay. 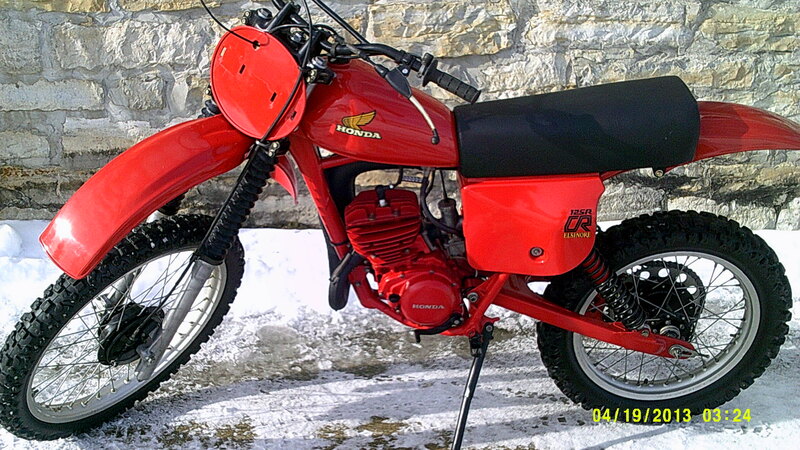 My reasoning was that if I could get top dollar for such a fine piece then I would have a bit of jing to use for something more practical, like a big bore dual sport bike, like a Honda XR650L, something I have been drooling over for a while now. The Nighthawk proceeds were supposed to go towards a dual sport, instead they were used mostly to fund my trip to Mid-Ohio last summer, and to buy my “new” truck. Anyway, the bidding started out fast and furious for those first couple of days on Ebay. Since it was only a five day auction, I figured the sale would be quick and painless. By day four the bidding had topped two grand. Yes! We were well on our way to meeting my reserve price and one step closer to that new dual sport bike! But, day five came and the bidding had all but stopped. There wasn’t even any last minute frenzy like usually happens. The result was an auction that didn’t meet the reserve price so, basically, no sale. That’s how it goes. You put it out there and take your chances. Maybe it was the wrong time of year. Maybe it will go better closer to springtime. Maybe I will try Craigslist at some point in the near future and see if that works better. Or maybe the piece will just go back into my collection and hide out under a dust cover for a while longer.